This year, the EAU and the EAUN have embarked again in their plan to effectively boost the collaboration of urology nurses and urologists, while at the same time focusing on the challenges posed by cultural diversity across Europe. 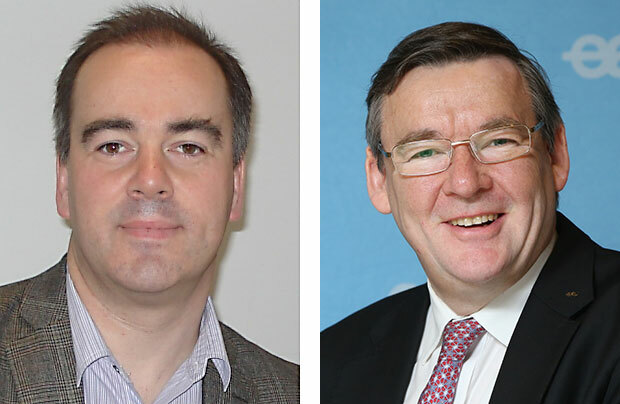 European Urology Today spoke to the EAU Secretary General Prof. Chris Chapple and EAUN Chair Lawrence Drudge-Coates last year regarding the goals of the +1 Campaign, to review the potential obstacles to any programme directed at the education of European nurses. The question is how to reach the goal of best integrating the work of urologists and nurses in achieving optimal patient care. Q: In what specific ways can the teamwork between urologists and urology-specialised nurses be further improved considering that more clinical tasks are being performed by nurses? Drudge-Coates: The purpose of the +1 campaign is for clinicians to invest in their clinical staff (i.e. urology nurses) as part of a multi-professional approach to help optimise patient care through education – the team being only as good as the weakest link. For urologists their role is often very finite but for the nurses it’s how nurses can impact on, for example, the initial assessment diagnosis, follow-up care and long-term management and their roles alongside other areas like oncology, etc. However not all urology nursing areas are as developed and as new treatments occur nurses need to know about these as they are often involved in their delivery. The focus of education through the EAUN and the +1 campaign is to provide education either through online courses, or the annual EAUN meeting. The +1 campaign recognises that while urology nurses and urologists have different roles, it’s the recognition that they are working towards the same goal of optimising patient care. Chapple: Accredited education and training are an important potential in order for nurses to be signed off, but the tasks and subjects tackled will be influenced by the individual health care system that the nurse works in. Much of the training at present is on a local or ad-hoc basis rather than being based on national standards for nursing. Nevertheless currently certainly in our health care system, it produces the desired outcome for any local needs. In the UK nowadays, there are more training options being offered to nurses because of the pressure on clinical services and need to have more nursing colleagues involved more directly in aspects of urological care which in the past were considered to lie within the realm of the urologist. I realise that this is not considered appropriate or necessary though in a number of other European healthcare systems. Q: In your respective clinics, have you seen more training opportunities or education programmes in recent years being offered to nurses? If yes, what was the impact on the daily work routine and if there are none, what could be the obstacles? Drudge-Coates: Yes, more and more courses are being made available but are not urology nursing specific. They are also costly and can be difficult to access. Since nurses are unable to take time off, they often have to pay for these courses themselves which I see as counterproductive when this education will positively impact on patient care and treatment outcomes. The EAUN bridges this gap by providing up-to-date nursing education. For example the Evidence-based Guidelines for Best Practice in Urological Care cover a number of topics including catheterisation. In my own clinic, with rapid advances in treatment, there is the need to always be ahead of the game in terms of education – but it is difficult to get time off and other ways of getting this education have to be looked at. Chapple: The amount of work that we are trying to do has been gradually increasing because of increased demand for urological services – particularly with the aging population and therefore the extended role of nursing colleagues has become important in helping us to deal with the daily work routine and provide the best quality of care, in particular relating to follow up management, diagnostic care and counselling. This (+1 Campaign) therefore in our context would be considered to be a very positive initiative. Q: Finally, how would you envision the future of collaborative teamwork among urologists and nurses? Do you expect tangible achievements in the next five years or would it take some time before real changes can be realised? Drudge-Coates: Urologists need to invest in the education of their nurses such as supporting them for EAUN membership and not assume it’s being done or leave it to their managers. There is a need for a change in mind-set, change in pre-conceived ideas for urologists to look outside what they perceive as the roles of nurses, and consider the possibilities of what the role of urology nurses could be. Changes have already happened but it’s how urologists can champion the role of their urology nurses that will maintain this momentum. Chapple: Certainly, there is a lot to do and achieve and we are basically building the support systems in the best possible way that we can. This, of course, takes time. The potentials are there, we just need to create bridges and effective links and continue the dialogue, and widen our understanding of the challenges and their possible solutions based on realistic expectations. To reiterate my previous comment, the EAU should closely collaborate with the EAUN by identifying the needs in education and training for nurses in each country, but within the context of Europe’s diverse cultural settings and in close collaboration with each Urological National Society.